Freebie: 2 FREE John Frieda Samples: Luxurious Volume & Root Awakening! 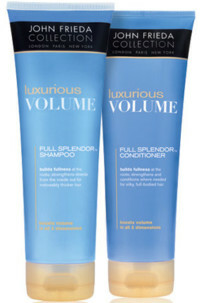 Sign up for a FREE sample of John Frieda Luxurious Volume here! You can also sign up here for a FREE sample of John Frieda Root Awakening! These samples are from Kroger. This site is great and just loaded with Goodies! Thanks so much! We love your site, too!